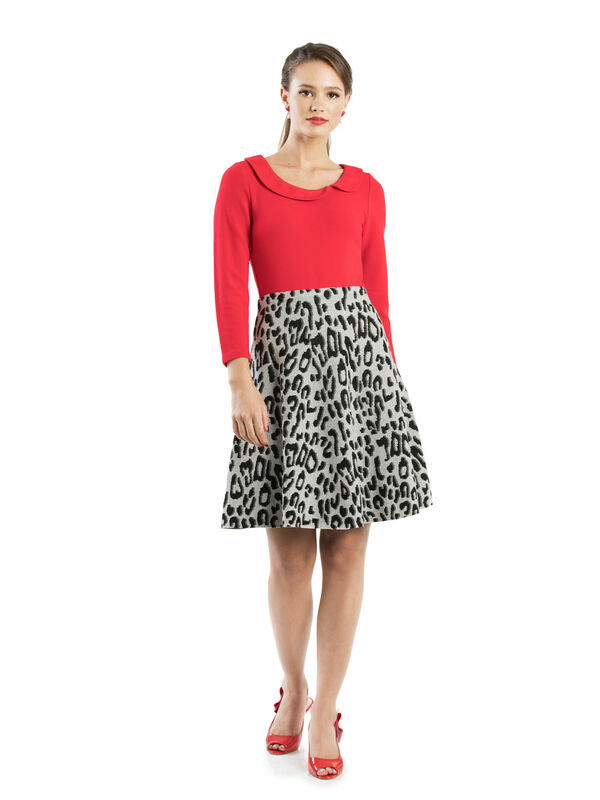 Snow Leopard Skirt https://www.review-australia.com/asia/snow-leopard-skirt-grey/RE19SK118.REGRY055.html This knee-length marled skirt matches the warmth of its cosy material with the cool grace of a snow leopard, in this light grey marle printed skirt. Fitted with an elastic banded waistband, this gently eye-catching piece can be dressed up or down, to fit any occasion. Worn with Lauretta Top and Brenda Heels. This knee-length marled skirt matches the warmth of its cosy material with the cool grace of a snow leopard, in this light grey marle printed skirt. Fitted with an elastic banded waistband, this gently eye-catching piece can be dressed up or down, to fit any occasion.